Burgers – much more than a beef patty in a bun. OK, Let’s not start the whole ‘what do you call the bread roll?’ debate! It’s #National Burger Day and us Brits love a burger. A Mintel survey from 2016 showed the UK burger bar market to be worth an estimated £3.28bn, with 60% of the nation having visited a burger outlet in the last three months. So what makes a good burger? The quality of the meat has to take top slot, but new eating trends, moving towards different protein sources, have led to some interesting plant-based proteins and even insect burgers! The ‘risk’ with insects as a protein source is the customer’s perception that they are ‘unclean’. To ensure that they are safe to eat, the Revtech system removes contamination by gently using a combination of dry radiant heat with a steam cycle, ‘jumping’ the product through vibrating, precisely calibrated, sterilisation and cooling towers. The end result is a high kill count and a product that has retained its organoleptic properties. Did you know that Holmach equipment makes the sauces for an extremely well-known burger chain? Whether you’re a pickles person, tomato ketchup devotee, or a more sophisticated onion relish lover, the dressings are what elevates a burger to the next level and Holmach has a great deal of expertise in this area. NIKO is the world leader in pickle handling and recent UK installations by Holmach include air rinsers and fillers for both plastic and glass applications for pickles, relishes and condiments. When it comes to sauces and condiments, Holmach has many years’ experience, providing expertise for numerous producers in the sauces and condiments sector. Recent projects have placed a Scraped Surface Heat Exchanger before the rotary filler to keep consistent product temperature, thereby eliminating waste; and a 12t/hr cold sauce and relish cooking and cooling system. Meanwhile the Roboqbo Universal Processing System is perfect for making chutneys and relishes, making a caramelised onion chutney in under 15 minutes, in one, easy-to-operate, self-cleaning vessel, whilst retaining great colour, taste and texture. 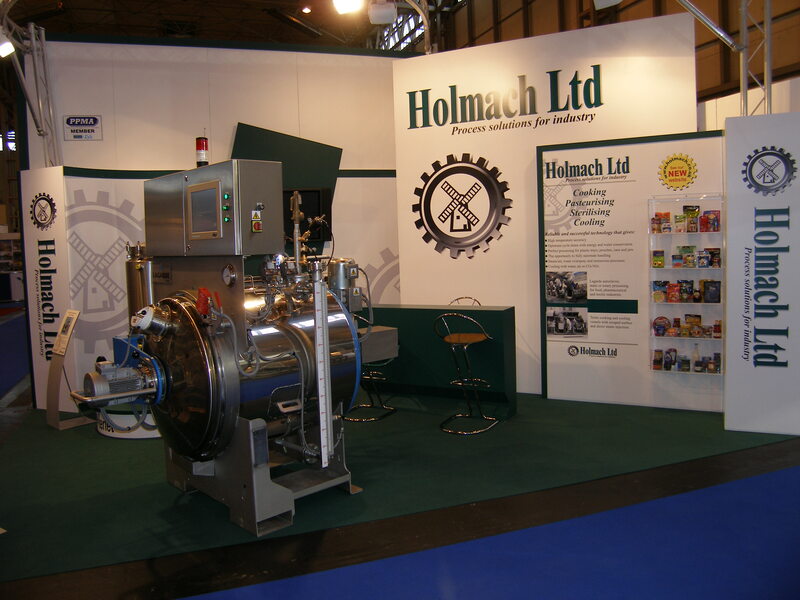 Then once the sauce has been made, Holmach can provide the right filling machine, from CFT or Niko, whether you want your product in a glass jar or a squeezy plastic container.